Ahoy mateys! Today is Talk Like A Pirate Day 2017. September 19 was proclaimed Talk Like A Pirate Day in 1995, but did not receive much widespread celebration until the 2000's following the release of Disney's film series Pirates of the Caribbean in 2003. 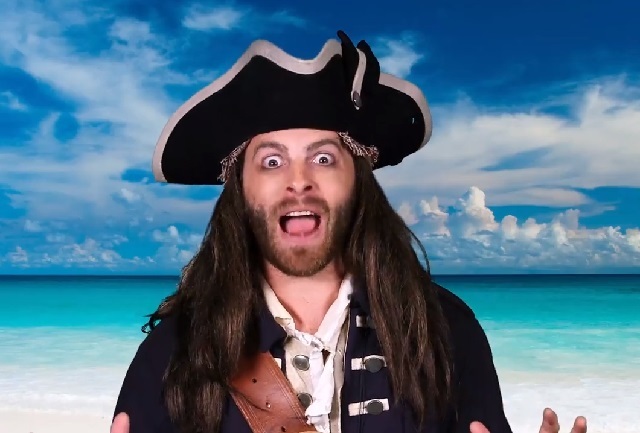 The popularized "pirate speak" of arr, arrgh, yarr, and similar exclamations have been attributed to 1950's pirate movies such as Treasure Island. In celebration of Talk Like A Pirate Day, Long John Silvers is giving away fried twinkies to customers who come in and talk like a pirate. Krispy Kreme donuts, which had participated in Talk Like A Pirate Day specials in the past, is not participating in 2017.